Rachel Patterson, author of Grimoire of a Kitchen Witch and A Kitchen Witch's Magical Herbs and Plants and co-author of Naming the Goddess, is running a year-long online course called The Arc of the Goddess, starting this summer. The course launches on 1 August 2015 and will then be open for enrolment. You can sign up at any time after that to embark on the magical training. Rachel describes The Arc of the Goddess as: "A year-long online course taking you on your own personal journey through the magical energy of each month, working with different deities, meditations, crystals, herbs, crafts, magic and foods; this course will help you connect and discover your own personal pantheon and ultimately the Goddess within." Lessons consist of monthly coursework via pdfs, MP3 meditations to download, a private facebook group to share and connect, full guidance and support throughout the entire course and beyond. 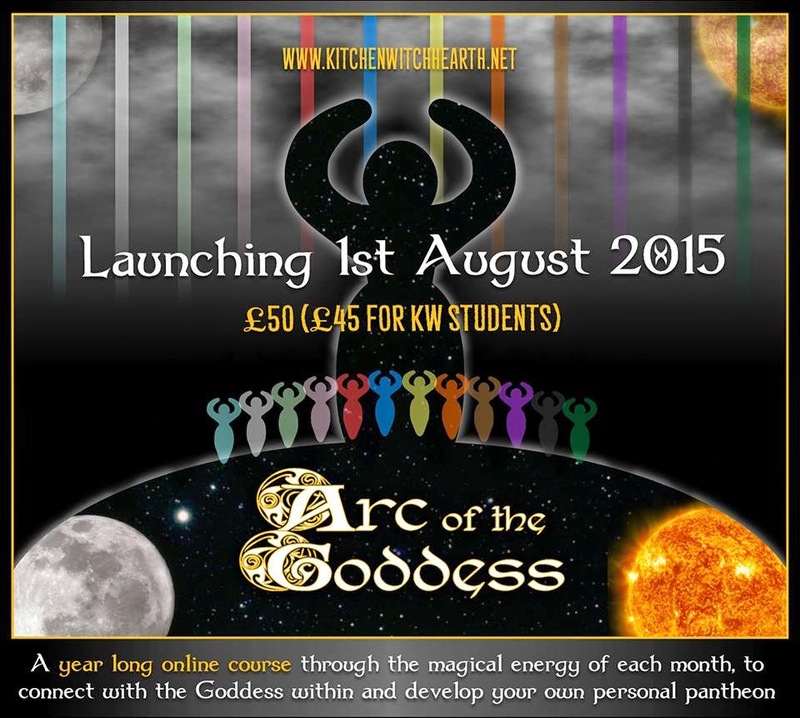 The cost is £50, or £45 for Kitchen Witch School students.